This historic site is now operated by Irwin County. Open Wednesday - Sunday, 9 a.m. - 5 p.m. Please call 229-831-2335 to confirm hours and prices. Not included in "Free Day" events. When Confederate President Jefferson Davis and a few remaining staff members crossed the Savannah River into Georgia on May 3, 1865, they were headed for the Western theater of war where Davis planned to unite rebel forces and continue fighting for the “lost cause.” On May 9, 1865, they camped in this pine forest, not knowing that pursuit was so close behind. At dawn, they were surrounded by two independent groups of Union cavalry who were unaware of each other’s presence. Gunfire ensued until the federal forces realized they had been shooting at one another. Two Union cavalrymen died during the skirmish. Davis was taken prisoner and held in Virginia for two years until released. Today, a monument marks the spot where he was arrested. Visitors can tour the 13-acre historic site that includes a museum, short trail, a gift shop, picnic tables and a group shelter. 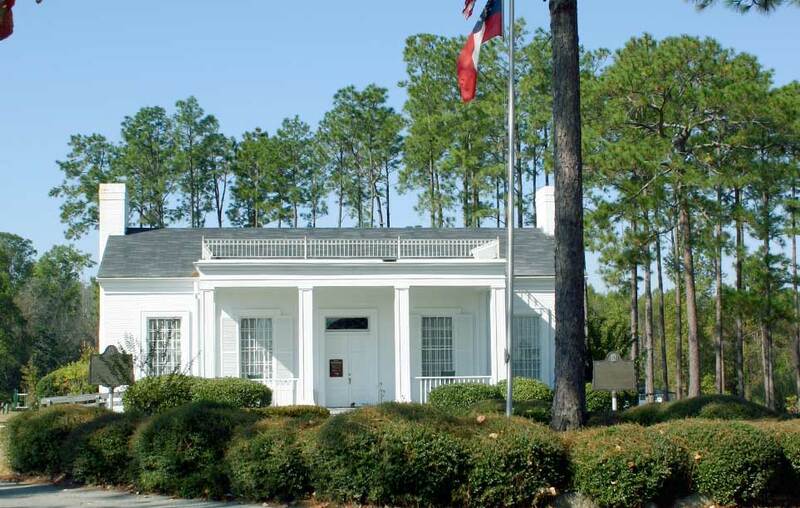 For a full listing of events and information about Jefferson Davis Memorial Historic Site Historic Park visit the Georgia State Parks page.